BRIC which was first used in the year 2001 as an acronym in the Goldman Sachs’s Global Economics paper No. 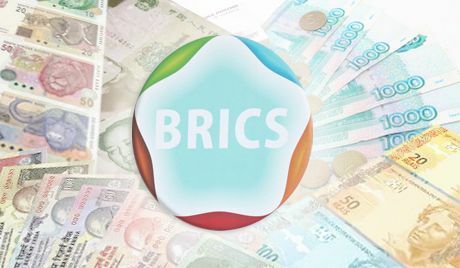 66 titled “The World Needs Better Economic BRICs” has now become an important bloc comprising of EMERGING POWERS of the world’s new economic order. 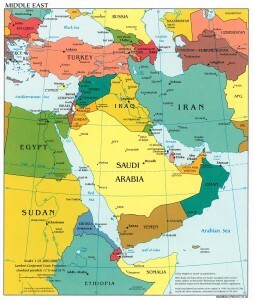 It has a prominent economy of Latin America i.e., Brazil – a store house of raw materials, the Chinese Dragon; the fastest growing Asian economy and the second largest world economy after the US, the Indian Elephant; the largest democracy and second fastest growing emerging economy and Russia; a powerful nation with the largest stockpile of weapons of mass destruction in the world also a store house of Oil and Natural gas together with the latest addition of one of the important economies of the African continent, South Africa, all on a common ground. It is expected that by 2015, the BRICS’ percent of world GDP will grow from 14% to 21.6%. BRICs accounts for the 40% of the World’s population and hence is a platform that provides a space to deliberate and take adequate actions on economic and socio-political issues by its member nation leaders. So far there has been BRICs Meeting/forums for its foreign, finance, trade, agriculture, and health ministers together with national security advisers who have met and collaborated towards better cooperation in their respective sectors. In addition, to these statistical organizations, regional business forums, academicians, etc. have also had their forum of dialogues. The agenda of BRICs meetings has considerably widened over the years to encompass topical global issues such as political developments of relevance like situation in Middle East and North Africa region, Afghanistan, Iran and Syria, institutions of global governance such as UN, IMF, World Bank Group, international terrorism, climate change, food and energy security, MDGs, international economic and financial situation, etc. The idea of the BRICs bank which might see the light of the day is a hot topic for this year’s BRICS fifth summit in Durban. It was first mooted when BRICs Development Banks at the Sanya Summit signed a “Framework Agreement on Financial Cooperation within the BRICS Inter-Bank Cooperation Mechanism” that led to the signing of two agreements by the Development Banks from BRICS during the fourth BRICS Summit that was held in New Delhi viz. “Master Agreement on Extending Credit Facility in Local Currencies” and “BRICS Multilateral Letter of Credit Confirmation Facility Agreement. A BRICs development bank is supposed to finance the infrastructure and lead in developmental projects. But learning from the working of the other International financial institutions, this bank has to stand out as an example for the rest of the world, if it aims to be a development bank in “true senses”. It has to be a common bank where all nations have equal say and rights on its management, not because if China or India or any of the other three countries contributes the highest towards the bank’s funding will garner higher benefits in comparison to others and emerge as a superior on a common bloc. No developing society fully approves another Bretton Woods kind of a financial supremacy where on the basis of your economic and financial prowess you can ideally lead and dictate terms of your choice. For ages the emerging economies have been demanding that their leaders get a chance to occupy top positions in international financial bodies (which have so far been occupied only by the US and European nations leaderships) and hence the developing and not so developed countries cry bias and prejudices. But for financing development and tackling the issues confronting developmental causes; bank has to address financing infrastructure which will build roads, rails and bridges, finance power projects and health, nutrition and food for feeding the millions mal-nourished; promote funding for building educational infrastructure and skill building which ultimately improves upon employment and general well being of the people and amid this all able to tackle environmental issues as well. The working and management of the bank has to be participatory and transparent with proper accountability mechanisms put in place for its efficient performance and if these points are given due consideration a BRICs development bank can fulfill its purpose.